I am going back to school this fall to start on my masters. It has been almost 7 YEARS since I last was in school working on my BA degree. I would LOVE LOVE LOVE an Erin Condren planner because I am SOOOO nervous about getting back into the classroom and I NEED the organization in my life. I have to balance a full-time job, a 6yr old son, a home, family, and now full time master's classes. I have heard amazing things about Erin's life planners and would be honored to win!! I have been wanting an Erin Condren planner for a while now. After they were first released, I was so excited there was a planner out there that could possibly keep even me - the most unorganized person in the world - organized. I love the side and bottom margins for lists because I'm a big list maker, and I'm really excited about the quotes and motivational words throughout. I'm in college and in a sorority, so it's really important I keep dates of tests and sorority events straight, and I think the Erin Condren planner will help me with that! Anything of Erin Condren's is perfect for ANY girl! If I won, I wouldn't have to settle for some ugly simple planner, I wouldn't forget any birthdays, and I wouldn't lose track of when homework is due, or special events! I love paper planners much better than electronic! I love not having to worry about if it's going to crash ot not! This would be the perfect back to school gift! These planners are AMAZING! I am in love with them! I hope I win! 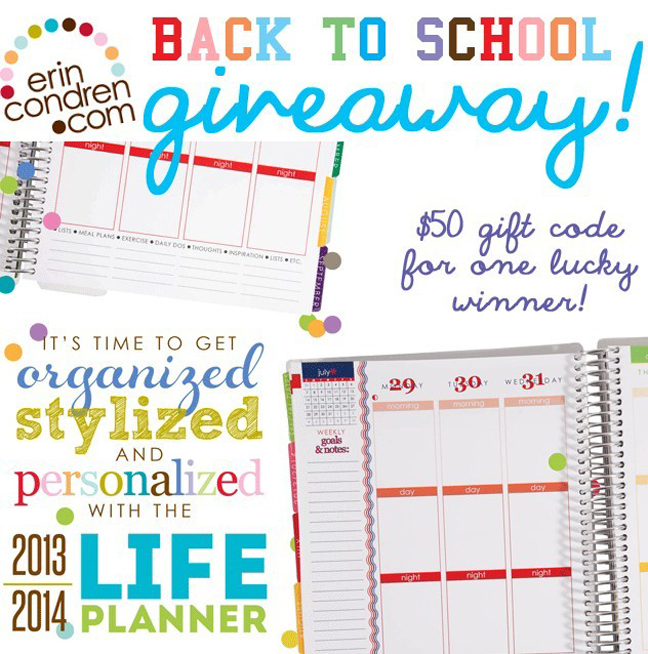 If I won the Erin Condren planner I would scream for joy for the entire year. I cannot think of a better way to keep organized during the school year and stay on top of everything. Between chapter meetings, social events, class, and work the year can get pretty hectic. Erin Condren planners make staying organized fun, easy, and super adorable. I would love to have one of these planners. Crossing my fingers I win. Thanks TSS! To say I'm obsessed with Erin Condren's products is an understatement! I love all of her school supplies and used a ton of her products to add some character to my dorm last year! Between class, social events, philanthropies, and student government events this planner would keep me on my A game! I'm not big into using my iPhone to keep track of things, I have to physically see it in front of me. This planner would keep me organized while looking fabulous. I'm so in love with all of the Life Planners! Keeping my fingers crossed! Thanks TSS for sponsoring such a great contest! I recently just discovered the Erin Condren planner and I love it! I am one of those people who document everything in their life from my class schedule, two jobs, friends and family birthdays, appointments, meetings, stuff for my Sorority, special events, vacations, road trips, moments in my life I find important, and more! I love how it comes so personalized as I am one of those people who color codes her planner as it is. I honestly think it's a life journal of events to me. The Erin Condren planner would be perfect for me and I would love to have one for my last year of college it would be so fun to personalize even more! I recently just found out about Erin Condren planners (don't know how I didn't know before!) from a sorority sister and fell in love! I love how they offer so much space to jot things down, organization, and flexibility for each customer. I'm pretty OCD and have been known to make my own calendars with everything color-coded before..so I love these planners! I especially loved and appreciated the line for teachers as I am going in to my senior year at ASU and will begin student teaching! As it gets closer and closer I am starting to realize just how hectic and jam-packed my year will be and an Erin Condren planner would really help!! I know I would get an amazing use out of it and enjoy my weekly life and lesson planning all while being cute and fashionable!! :) Thank you!! With senior year approaching and all the things that have to be taken care of this would help so much! Erin Condren's life planners are the perfect tools for busy girls like myself. Between school, work, an internship, clubs, volunteering and on the rare occasion this thing called a social life, it can be difficult to accomplish all that needs to be done in a day. An EC planner would be the perfect companion (along with Starbucks of course) during my journey to law school-just refer to me as a brunette Elle Woods! On top of all this, Bachelor watching parties with my girlfriends seems much more important when scheduled into a beautiful planner. Thank you for creating such a wonderful website and giving driven and successful women life myself the opportunity to make our lives a little more organized. How would the Erin Condren planner help me?! There are so many ways! I like to stay organized, so let me make a list. 1. 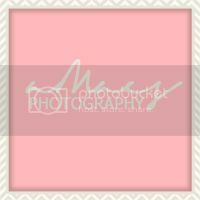 I am in Kappa Kappa Gamma, and it would be a great way to keep track of sorority events! 2. I work at a library on campus, and it would be a fabulous way to keep track of when I work. 3. I started a blog a few months ago, and I'm still working on the organization part of it. 4. I just received a job as a campus rep for Little Problems, and it would be amazing to keep track of it! There are so many other reasons to have an Erin Condren planner! I would absolutely love one! And that blue key design?! Totally Kappa! Love it! It would hep me stay organized with all of my school and social events Thanks my email is rachelmorgan132 at gmail dot com. I would love an Erin Condren planner. My classes run eight weeks long so keeping the right schedule in my head would save so much time from walking to the wrong class. Also they would help organize when and where I go for my clinicals, keep my sorority meetings and events organized and help straighten out when I teach dance classes. I love erin Condren and her amazing products. It would help keep my hectic schedule together for sure, to have all the info not only in 1 place, but one organized/beautiful place! Oh em frigging G, so excited you guys love EC. I had their 2012 planner it just made life so much less crazy, like instead of constantly looking @ my iphone it just helped me think and stuff be in one place. I am going to be a senior next year. I am going to be applying to college which can be overwhelming. Plus I am taking course intensive classes that will be very stressful. I think the Life Planner would be so beneficial. I have always wanted one. I customize one every year but can never afford it. This prize would really help. I would have been a hot mess last year without my Lilly Pulitzer planner but I think the Life Planner would be even more helpful. Thanks for doing the giveaway! Love Erin Condren!! I would love a life planner to get my all work organized! From teaching to my personal life and volunteering Junior League and advising a local KD chapter, there's so much to keep track of these days! I'd love to get everything in one place and it doesn't hurt that they're so stinkin cute too!! An Erin Condren Life Planner is perfection! Just enough space to write down all those meetings, classes, and things to do but not too large that you can't take it everywhere! As President of my sorority, I would use my planner every day to keep track of all of my events and meetings! My life would definitely be more organized with an Erin Condren planner! I have a life planner already and have found that it is an invaluable tool for keeping me organized at school. I have been ogling Erin Condren's Life Planners for months now but just haven't been able to splurge on one. I would LOVE LOVE LOVE to organize my crazy life inside one of her cute designs. I've been dying to have a Erin Condren planner!! They are perfect! I always get super excited when I start looking for the perfect new planner for the school year and it's the most important new school supply that I have to have. Holding an executive position for my chapter of Zeta Tau Alpha and balancing work and school takes a lot of organization. I would love to be writing down all of my assignments and ZTA activities in a new Erin Condren planner! thanks for this wonderful review! just pinned to our pinterest board... check it out! enjoy! I liked EC previously on FB and now Liked you all today! I just ordered my first Erin Condren product ( a teacher lesson planner ) last week and I cannot wait for it to arrive. I'm one to be super organized and always have kept a basic year-long planner with me, but nothing compared to how organized an EC life planner would make me! I would use this for everything and I would take it everywhere! No more saying "Let me check my calendar at work/school tomorrow and I'll get back to you" ... I would have it right there! Thanks for this opportunity! I hope you get a lot of entries and views from this :) Your blog is adorable.. I'm your newest follower! As a special education pre-school teacher and graduate student, Erin Condren's Life Planners are perfect for keeping me organized! I can keep track of IEP Meetings, important school meetings, class assignments and deadlines! This is such an awesome givewaway! Thank you! I can't wait to get an Erin Condren planner. We homeschool and are very active in sports, co-op, and all kinds of things. Hopefully this will help! Thanks for the giveaway! I'm totally addicted to erincondren.com. As a self employed always on the go mother of 3 the products keep me organized and stylish. I love love love my Life Planner with colored pens. Each kid has a color, plus PTSA, Baseball or Soccer, Work. I never miss an appt. It goes everywhere I do. It will help me not procrastinate! I love my iPad, laptop, iPhone, etc. -- but there is just something about actually writing down to-do items and appointments that really help keep me on track and organized. Not to mention, the fact that these planners are cute will encourage me to use it & stick with using it! I would totally use my planner to a) keep track of everything as my wedding gets closer, b) be able to keep better track of the events going on with the Chi Omega's at Nova (I am one of their advisors), c) be able to better organize and plan out events for the Philly Chi O Alum Chapter (I am president), and d) keep my work life in order. As much as I love having my life organized on my phone via my Google Calendar, there is just something to be said about having things written out on paper. I have been eyeing these Erin Condren planners for AGES but haven't quite yet pulled the trigger on buying one... although I have gotten close many times. I definitely want to see what all the hype is about and if these planners can really help keep me more organized than I already am! My name is Mackenzie and I'm here to say, the Erin Condren planner is cool in every way. As Vice President of Marketing who's busy with school, the life planner would be the perfect tool. With sorority responsibility, life and fun, Erin Codren would make sure I got everything done. Thanks to The Sorority Secrets for another brilliant tip, if I were to win i'd be as happy as a bacon strip! I would use my life planner to help me stay organized and keep my life in order. As a mom and a teacher, I need all the extra help I can get keepin pg track of everything. This giveaway is AMAZING! I have been wanting an Erin Condren planner FOREVER! And this is as much of a PERFECT time as any! I'm moving half way across the country in less than 3 weeks! I also have a BEAUTIFUL 5 year old daughter who will be starting Kindergarten and I will be a full time nursing student. This planner would help keep us organized and our schedules in sync! This is an amazing opportunity! I would be beyond thrilled to win this giveaway! Thank you so much for the chance to win this amazing life tool! An Erin Condon planner would help be a better organized mother and teacher. I could definitely use a life planner! My life is so hectic right now.